British Gumball 3000 motor rally CEO, Maximillion Cooper and Presenter Eamonn Holmes talking about Max’s wife the rapper, Eve. 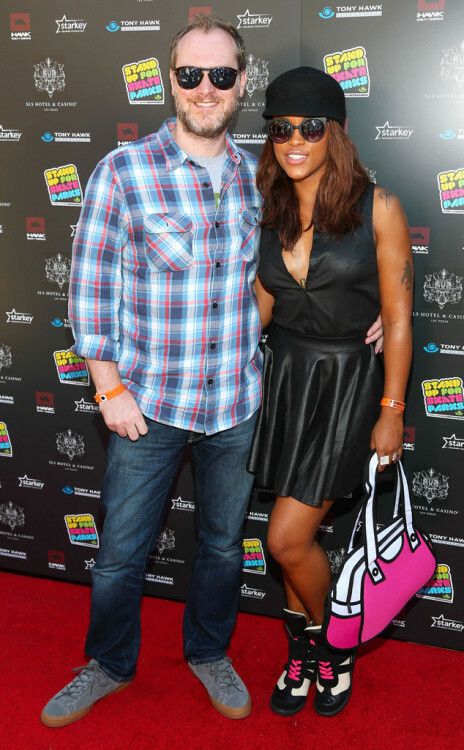 Rapper Eve who was gorgeous in gold and still has that newlywed glow as she posed with her husband Maximillion Cooper. Eve and husband Maximillion Cooper joined the jet ski crowd on Sunday during a family vacation in Barbados. The 36-year-old rapper wore a white two-piece with a scalloped top while on holiday with Gumball 3000 co-founder Maximillion and his four children from a previous marriage. Eve was in the driver’s seat of a Yamaha jet ski with Maximillion, 43, right behind her. The Grammy-winning rapper added some flair with mirrored sunglasses and a tan fedora. Maximillion wore blue trunks and mirrored sunglasses for the ride. Eve stepped into the Atlantic Ocean with Maximillion daughter who wore a cute blue one-piece adorned with dolphins. Maximillion and Eve also relaxed on beach recliners with the children. The couple got engaged on Christmas Day in 2013 and wed in June 2014 in Ibiza, Spain. Maximillion and his ex-wife Julie Brangstrup co-founded the Gumball 3000 rally in 1999. The annual British motor rally takes place on public roads with a different route around the world each year and Eve and Maximillion met during the 2010 Gumball 3000. The 2016 Gumball 300 will run from Dublin to Istanbul. Eve can be seen on the big screen in Barbershop 3 due out on February 19, 2016.